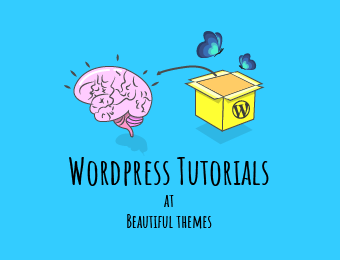 No matter if you are beginner or developer, WordPress widgets are immensely helpful for everyone creating a website in WordPress. They come in the form of handy tools that make it easy to customize a WP based website. Unquestionably, WordPress widgets are one of the best features of WordPress. In general terms, a widget is a small application with limited functionality that can be installed and executed within a web page by a user. Similarly, a WordPress widget is a small standalone piece of code that adds some specific type of content or functionality to your website. WordPress widgets are independent blocks of content which can be added in the widget areas provided by the theme. They add some specific functionality or feature to a WordPress website. For example, Archives, Categories, Search, Tag Cloud, etc. are some of the WordPress widgets that are available in every WordPress installation by default. There are specific locations designed in the themes where widgets can be placed. Such areas are called widget areas. Sidebars are the most common widget areas as provided by default WordPress themes. However, they are not limited to the sidebars anymore. The widget areas may occur in the footer, header or anywhere on the website. Most common location for WordPress widgets are sidebars which is why they are often called ‘WordPress Sidebar Widgets’ synonymously. Almost all the WordPress themes allow using widgets in the sidebars where you can use default WordPress widgets or custom made theme or plugin widgets. The widget areas may vary depending on the theme you are using. Most of the themes these days are widget ready. Several in-built widgets are provided along with many widget areas in such themes. Besides, widgets also come with WordPress plugins. Nowadays, there are many themes which are fully widgetized allowing users to add widgets in most parts of the theme. Such themes are created with support to page builder plugins. Most of the page builder plugins come with a bundle of widgets, also called modules/ content modules. Page builders let you add the available widgets in the pages or posts and create completely new design/ structure of a website. For example, you can take a look at our Flash theme which is completely widget-based theme. The theme is built in with SiteOrigin’s page builder plugin and a companion plugin called Flash Toolkit which is a bundle of some awesome widgets. How to add Widgets to WordPress? WordPress widgets are not the separate components but the parts of a theme or plugins. Therefore, installing a theme and plugins are complete enough to install widgets. There is no other procedure required to install widgets. Working with widgets is really easy. To see the available widgets, you should go to the WordPress dashboard and in the Appearance menu, there is ‘Widgets‘. You must drag and drop the widgets to the available widget areas. Therefore the widgets are also called drag and drop widgets. It is the conventional way of adding widgets. As shown in the image above, Widgets can be found inside ‘Customize‘ in latest Customizer-based WordPress themes. You can easily add, reorder the widgets with live previews from the Customizer. As I stated earlier, WordPress widgets come along with WordPress themes or WordPress plugins. They are created with specific functionality, feature or content in mind. Most of the widgets are specifically developed in feature specific plugins; for example, social icon widget and social sharing widget may be available in a Social media plugin. A WordPress plugin which contains 12 custom widgets to empower Flash Theme. 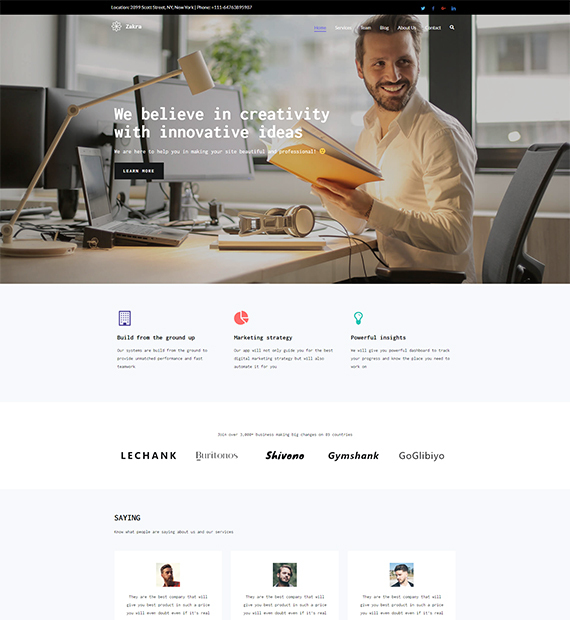 The widgets can be used to build multipurpose websites including business website, one-page website, construction, food and restaurant website etc. FT: Animated Number Counter etc. Note: You must use Flash Theme for using Flash Toolkit plugin. The free version of theme offers Toolkit plugin with 12 custom widgets while the premium theme ‘Flash Pro’ comes with additional 8 custom widgets. A WordPress plugin which contains 20 useful widgets to work with Page Builder by SiteOrigin. The widgets are very useful for creating a business website or various types of websites. Similarly, there are several amazing WordPress widgets available on the web which are incredibly useful. I will mention some of the most popular types of WordPress widgets and the best ones in this post here. Install the plugin and add Google calendar events to your WordPress site. As you install the plugin, a widget ‘Simple Calendar’ will be added to your Available widgets section. You can now drag and drop the calendar in the sidebars or other available widgets areas. All-in-One Event Calendar is one of the popular WordPress calendar plugins with over 100,000 active installs. It provides you a beautiful way to list your events in a WordPress website. It comes with a widget ‘Upcoming Events’ which can be added in all the available widget areas of your WordPress theme. Social Icons is a simple yet powerful social media plugin for WordPress. It is a free plugin that supports more than 100 social icons. As you install the plugin, you’ll get a widget ‘Social Icons’. The widget can be placed anywhere in the available widget areas provided by your theme. WP Twitter feeds is a simple WordPress widget plugin which lets you add your latest tweets on your WordPress website. It is very easy to customize this plugin. Adding your Twitter feeds helps your site become more engaging as well as earn more new Twitter followers. Want more social media plugins? Check out our collection of top 5 WordPress social media plugins. Facebook Widget is a free WordPress plugin that can be downloaded from official WordPress plugin repository. This lets you add a simple Facebook page like widget into WordPress website sidebar or the footer area. The widget shows a Facebook Like button along with the number of Facebook users who have already liked your page. Simple Facebook Plugin is a good alternative to the Facebook Widget mentioned above. It provides a simple way to embed your Facebook page on your WordPress website. The plugin allows the website visitors to like, share your WordPress page without having to leave your site. YouTube Channel Gallery plugin lets you display a YouTube video and a gallery of video thumbnails for a YouTube Channel in a beautiful grid layout. You can use this plugin as a widget or as a shortcode. You can place the widget anywhere in the available widget areas. Moreover, the plugin is a simple way for beginners to embed a YouTube channel in WordPress website. In the nutshell, this plugin is an advanced plugin for the text widget. You can display text, any additional message in a beautiful design with this widget. Testimonials Widget is a free WordPress plugin which lets you add customer testimonials easily on your WordPress website. You can display a list of reviews or slide reviews via widgets. Besides, you can add testimonials via functions and shortcodes. This plugin provides a better way to showcase what your customers/ clients say about your products or services. In conclusion, WordPress widgets are the game changers making WordPress even easier. As stated in WordPress Codex, Widgets require no code experience or expertise. They can be added, removed and rearranged on the Theme Customizer or Widgets option in Appearance menu. They provide a simple and beautiful way to customizing the website, pages, and posts. Let us know if you have any additions to the widgets mentioned above. If you want more WordPress plugins/ widgets, view our list of the best WordPress plugins. Awesome, I have strolled around your blog. The write up is excellent and can be understood by any one. In deed your blog gives a great knowledge and exposure to all the bloggers. I personally request you to please visit my blog and let me know your best comments, which may be useful to my followers and also to self, to gain more knowledge. Thanks for your complement. The sole purpose of our blog is to help the WordPress users, be it beginners or experts. We are grateful to help you. Good to know about these widgets. However, is there any way or plugin by which we may create extra space for widgets in any theme even in custom design based theme? Custom Sidebars plugin (https://wordpress.org/plugins/custom-sidebars/) may be helpful to you. The plugin is basically a widget area manager which allows you to display custom widget configurations on any page, post, category or archive page. Great information for this WordPress Widgets. You inform very deeply about every point. Wording of this content very understandable. your content stuff always latest and interesting.